- PaleoImages: The closer you look, the better we look! Museum quality, research grade fossil replicas! Fossils are proof that some of the world's most beautiful artwork comes from nature itself. 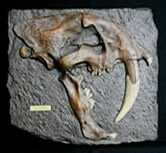 Our goal at PaleoImages is to offer museum quality, research grade fossil replicas at reasonable prices. Each replica is cast using lightweight and durable materials (high-density polyurethane foam or resin) and is hand painted with artist oils and stains, to achieve a realistic finish. 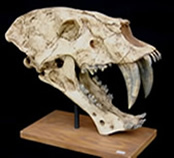 You will find that PaleoImages' replicas work great for display, reference, or as teaching aids. Since each piece is hand painted with artist oils and stains, each one is an original painting. Our canvas just happens to be in the shape of a fossil. All of our replicas are copyrighted. Copyright infringements will be pursued legally..
We are pleased to announce that we have been chosen as the only authorized company, in the United States, to produce "Ida" - Darwinius massilae. "Ida" is one of only three known primate fossils to have ever come out of the Messel quarry, in Germany and one of the most complete. We use resin and resin based materials for all of our casts. We do not use or sell any plaster casts. Plaster is a sub-quality material when compared to resin based materials. Resin is more durable and takes paint better, for a more realistic finish, than plaster and is therefore a superior medium for our products. We thought you might like to know of businesses that carry specimens from our "Museum quality, research grade fossil replica" line. Please click on this link to view the list, which includes the Smithsonian Institution/Museum.